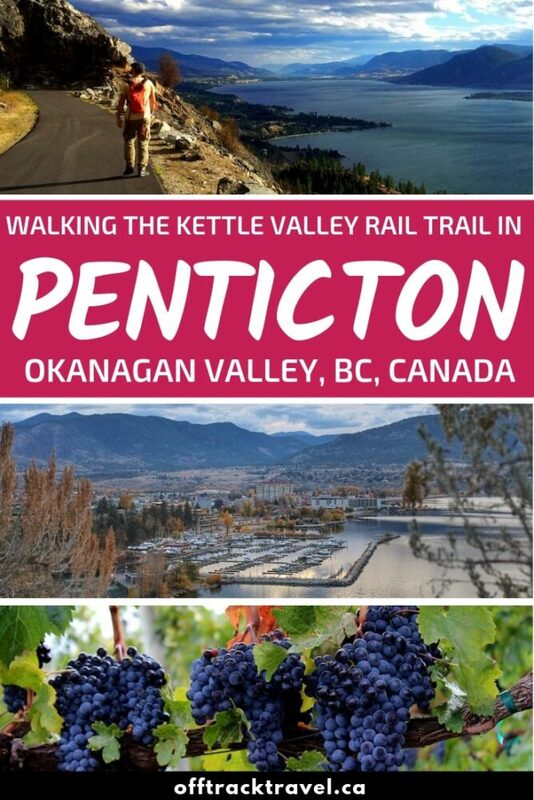 Without a doubt, one of my favourite things about living or visiting Penticton is the Kettle Valley Railway (KVR) Trail that passes through the town. 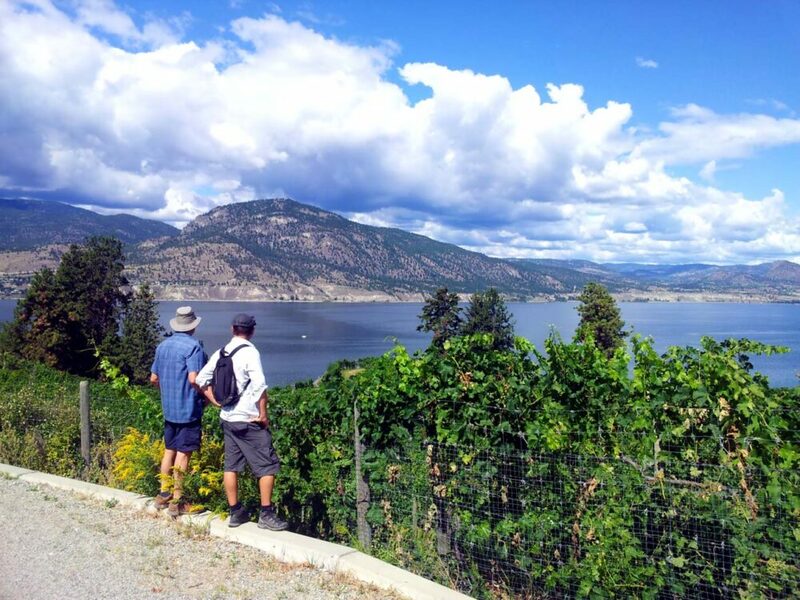 This scenic path passes approximately 500 metres away from our old home on Vancouver Hill and offers unbeatable views of Okanagan Lake, Penticton and the mountain beyond. The KVR is an abandoned railway line that was built in 1915. 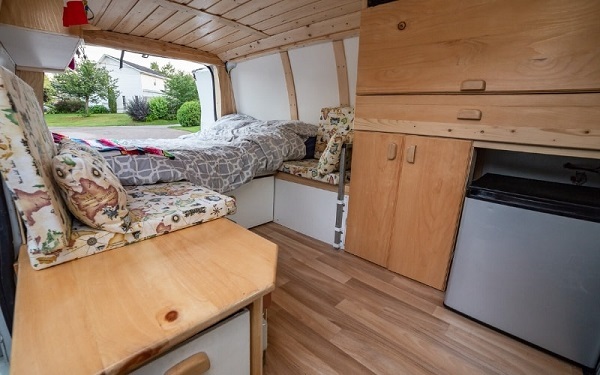 Originally, it ran between Midway to Hope in British Columbia, Canada. 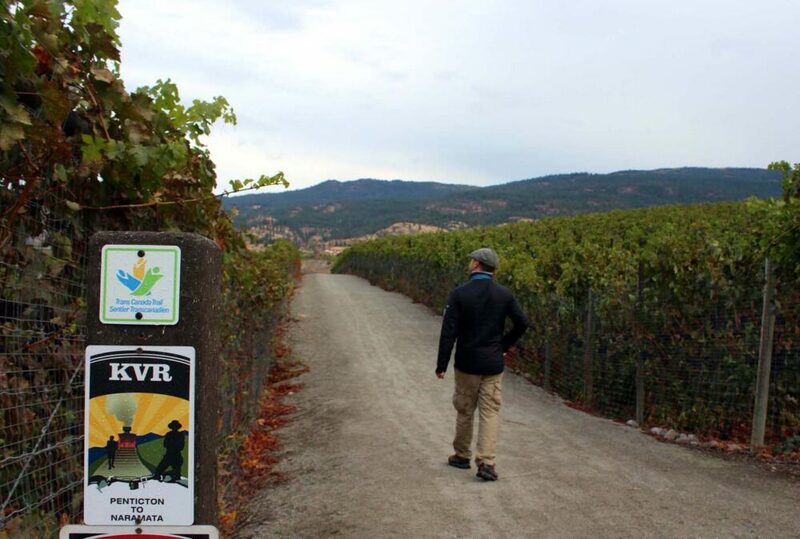 Since the 1990s, the KVR has been a multi-use (cycling, hiking, horse riding) trail, taking users around the mountains, vineyards and lakes of the beautiful Okanagan Valley. 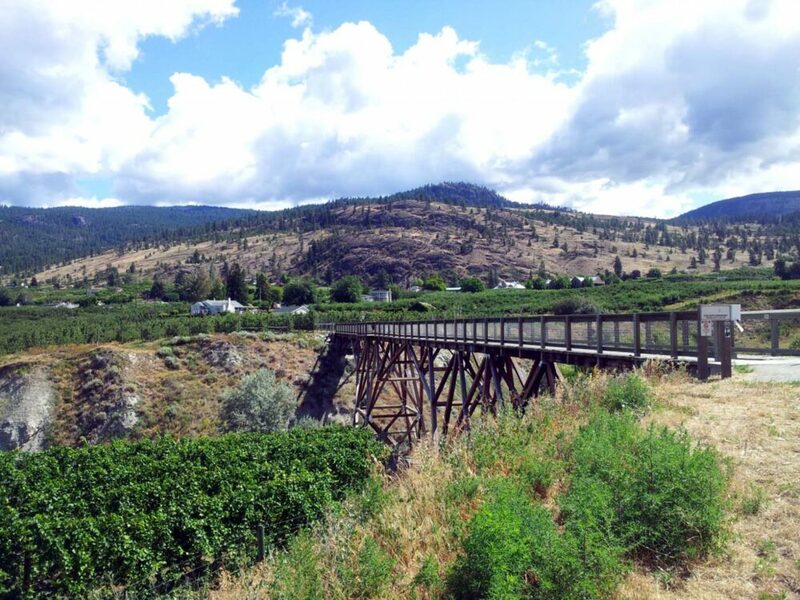 Keep reading to discover more about the wonderful Kettle Valley Rail Trail! The full length of the KVR trail is 480km but the majority of users visit it on short day hiking trips and bike rides. It’s evasy to understand why, with easy grade (less than 2.2% the whole way) and great accessibility along the route. 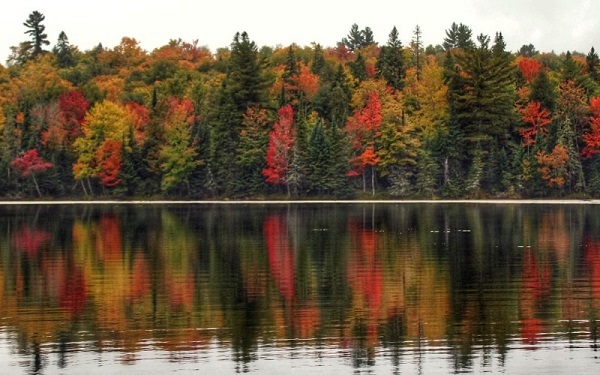 We’ve spent many a weekend afternoon exploring the trail, during every season of the year. 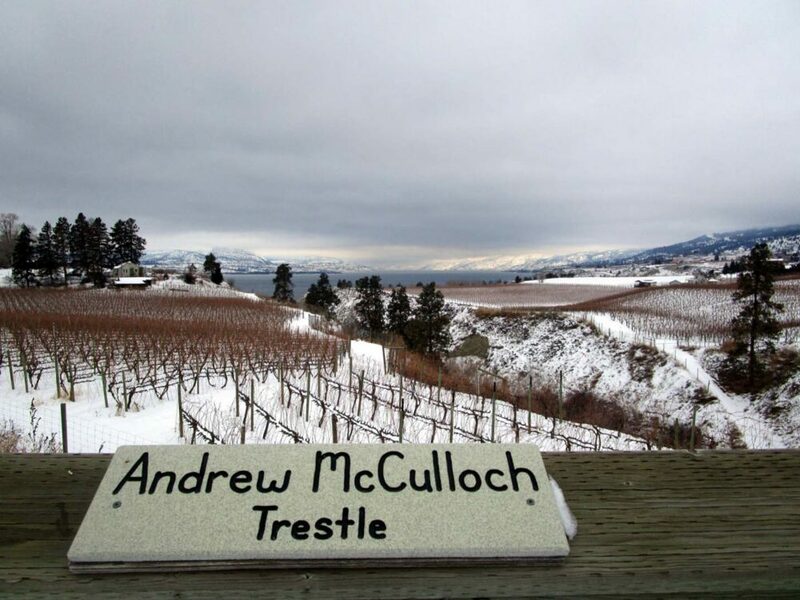 The 4km section from Vancouver Hill to the McCullough trestle in Penticton is our favourite local walk to take visitors on. 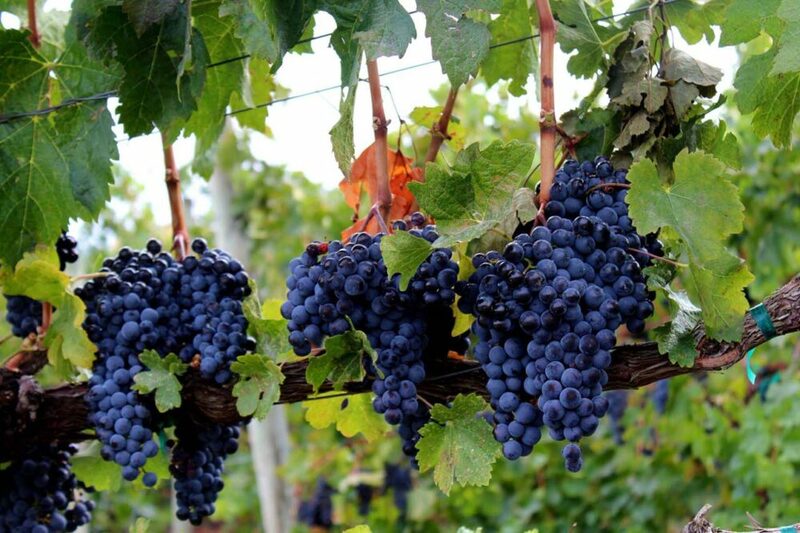 It helps that the start is a short distance from our house and there are a couple of wineries that can be included in the trip. The Kettle Valley Railway was primarily built to serve mining interests in British Columbia’s Southern Interior region. Canada’s Transcontinental Railway was completed in 1885 but proved to be located too far north to assist with the transportation of goods in the western Kootenay and southern Okanagan region. Being a border region with the USA, officials in the area were also concerned about American miners flooding the area and taking control. A railway was decided to be the key to maintaining Canadian sovereignty and providing economic prosperity. Not only used for transporting ore, fruit and other goods from the Okanagan and Kootenays, the KVR had passenger trains too. It was also a back-up train of sorts for the northern Transcontinental line when avalanches and rock slides caused closures. 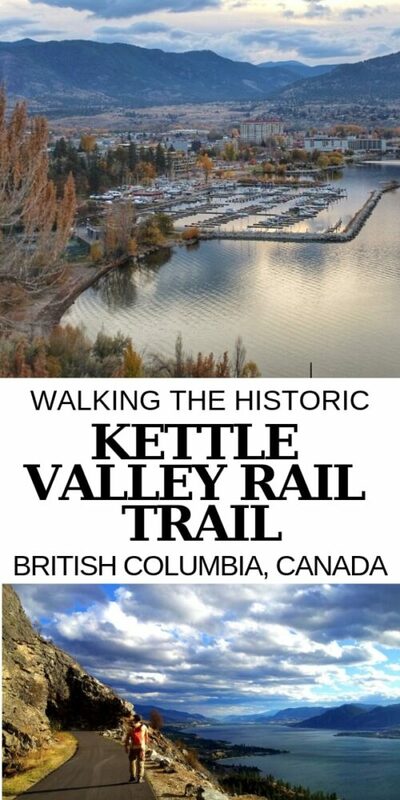 Taking twenty years to complete, the Kettle Valley Railway was not in service very long. Portions of the railway began to be discontinued from the early 1960s. One of our most memorable walks on the KVR was in the winter when there was still some snow on the ground. 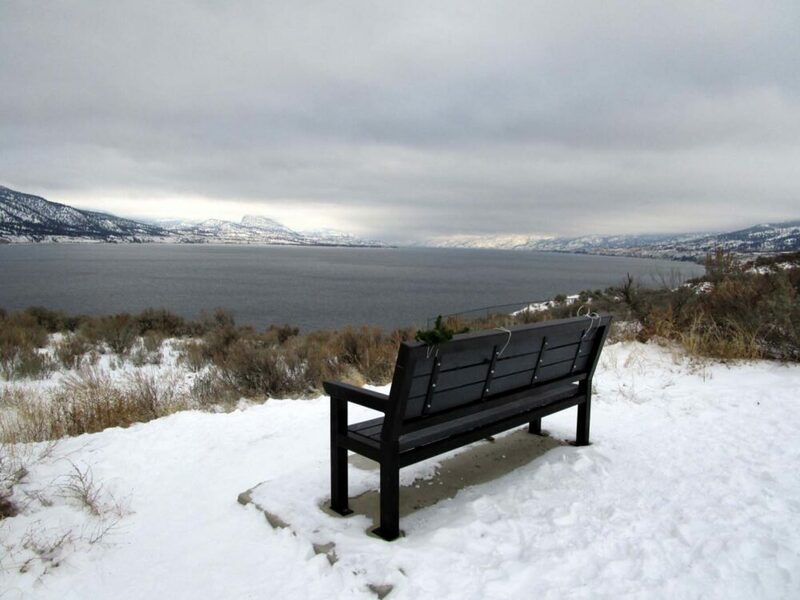 Penticton winters aren’t particularly cold, so it was a pleasant trip along the top of the clay cliffs. 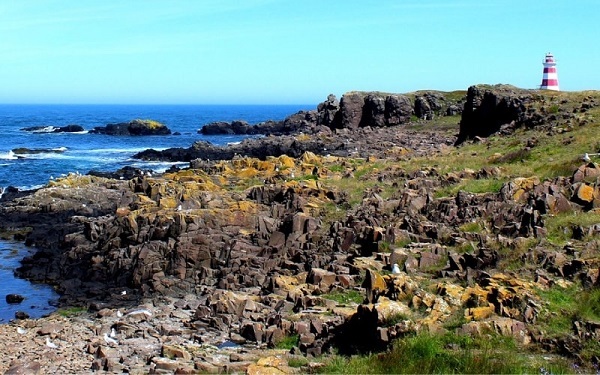 We didn’t see a single person on the trip, which is quite a difference compared to the spring when the route is full of families, dog walkers and lycra-clad cyclists. 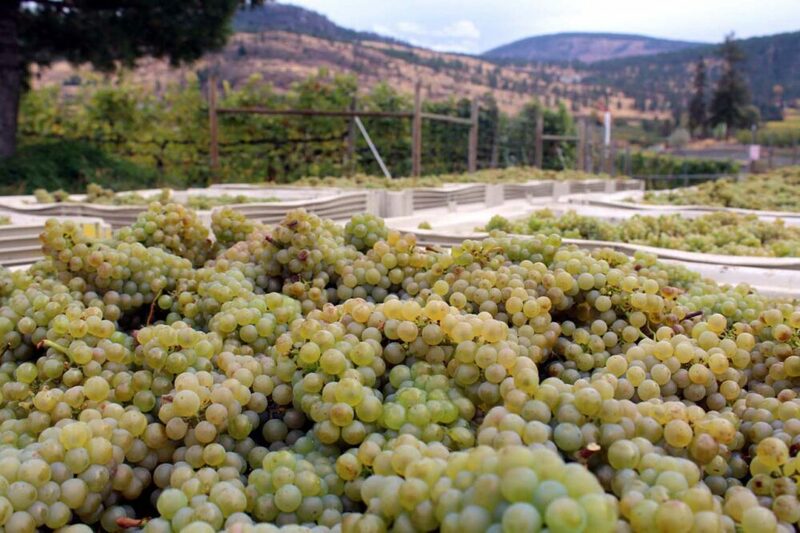 The surrounding vineyards and orchards, however, were full of birds, chirping while they feasted on leftover grapes and apples. It certainly didn’t feel like a cold and bleak January day with all that noise around us. 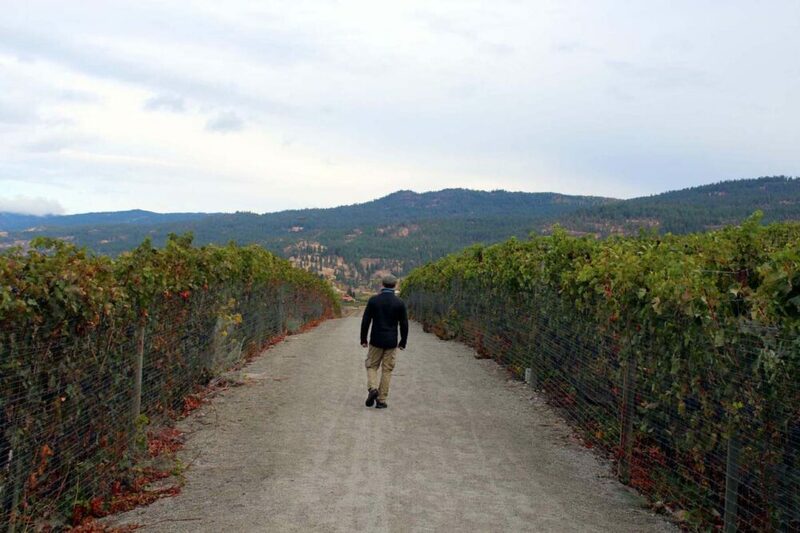 Another day, we ventured out to the Smethurst Road parking lot in Naramata and walked the 8km return trip to the Kettle Valley Rail Trail’s ‘Little’ Tunnel. 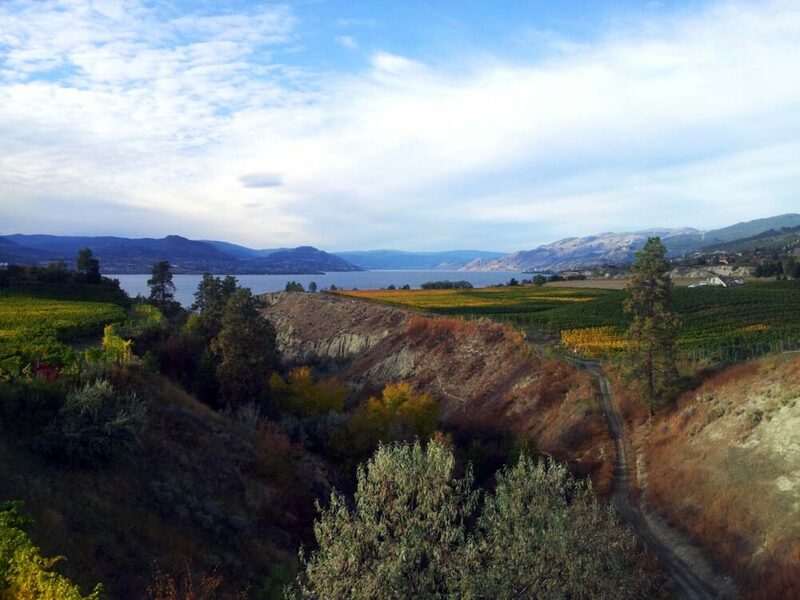 This is a really lovely section with outstanding views of the valley and the very blue Okanagan Lake below. The Little Tunnel itself is only about 100 metres in length, but it still is a step back in time; the ceiling is black with soot from the steam engines and the blocky walls look like they were blasted yesterday. There is a detour from the Little Tunnel section where it is possible to see rock ovens that were built by the KVR workers so they could bake bread during construction. The Kettle Valley Railway had a huge influence on the development of the southern Okanagan area. 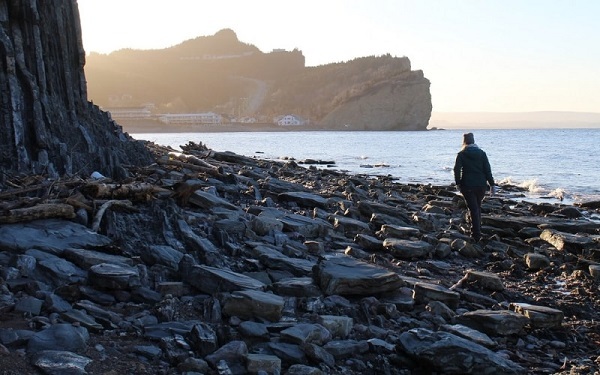 It now offers some of the best views around as well as an easy gateway to the past. 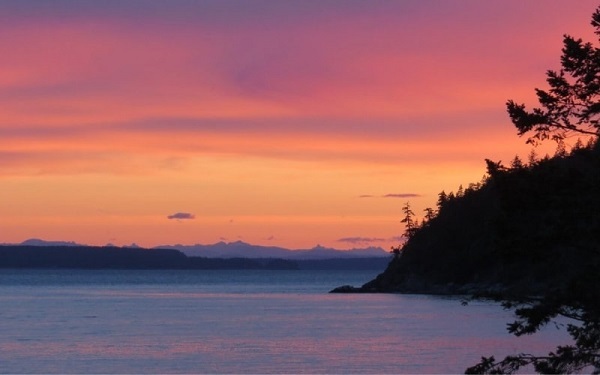 We love the great accessibility to incredible scenery, tunnels, trestles, wineries and more. 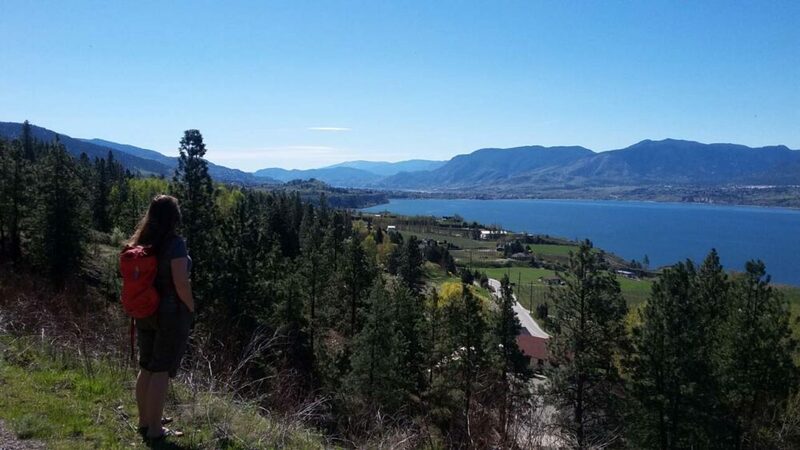 The Kettle Valley Rail Trail connects the best of Penticton and more. 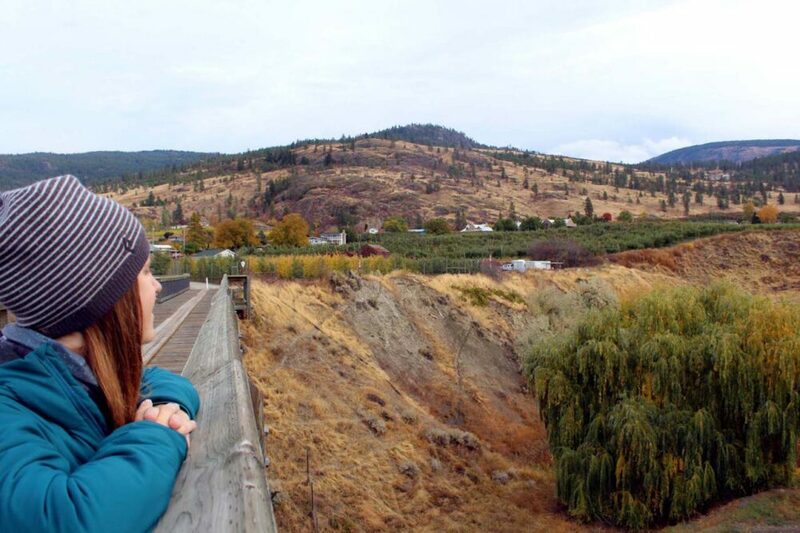 Mile 0 of the Kettle Valley Rail Trail is in Midway, British Columbia. 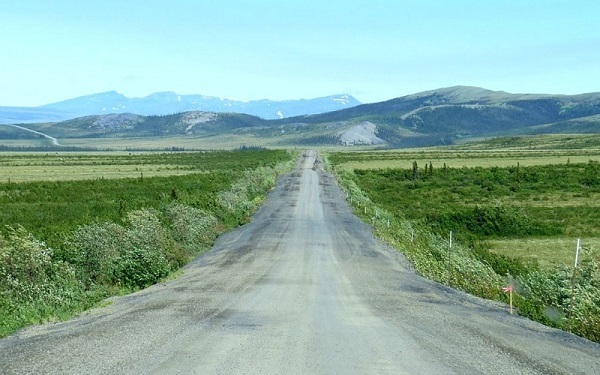 The route ends in Hope after 480km of journeying through the valleys and mountains of BC. Additional interconnected pathways and routes takes the total up to around 600km. 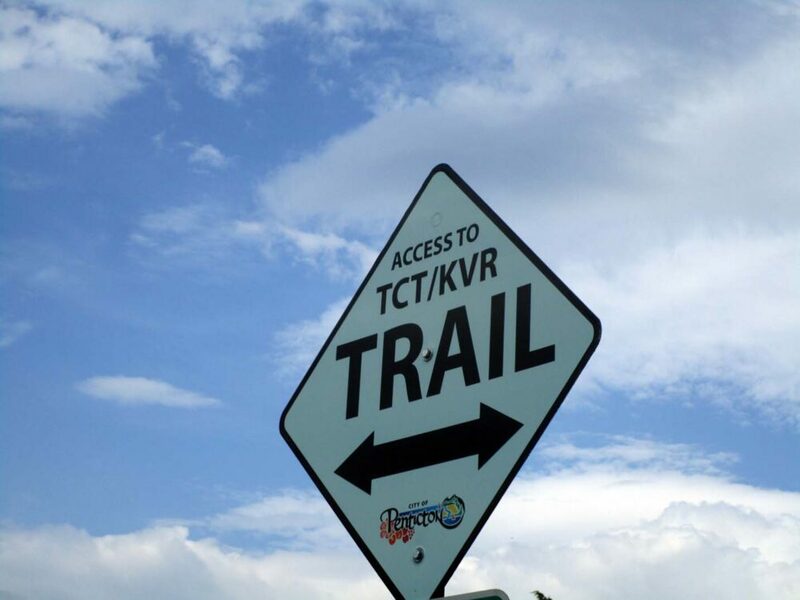 There are numerous access points to the KVR trail. 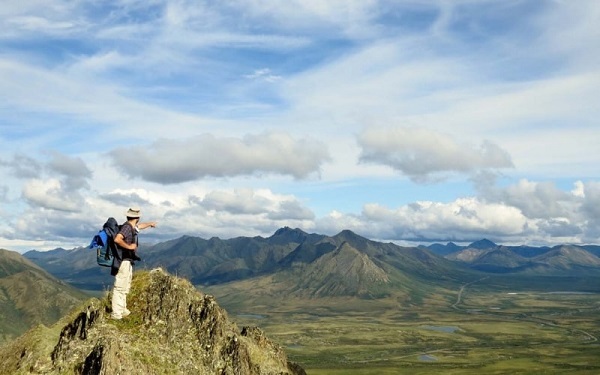 It is easy to locate these trailheads with the excellent Backroad Mapbook series. 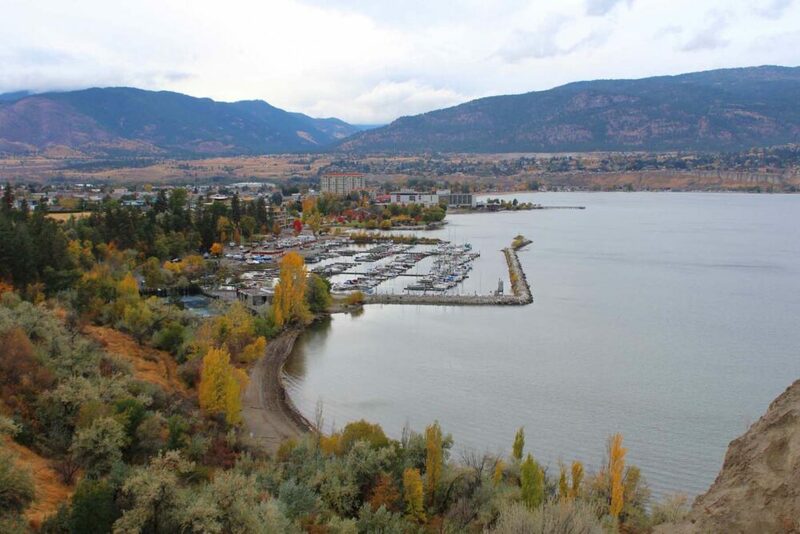 The Okanagan edition covers a large part of the trail but some sections feature in the Vancouver Coast and Kootenay Rockies books. 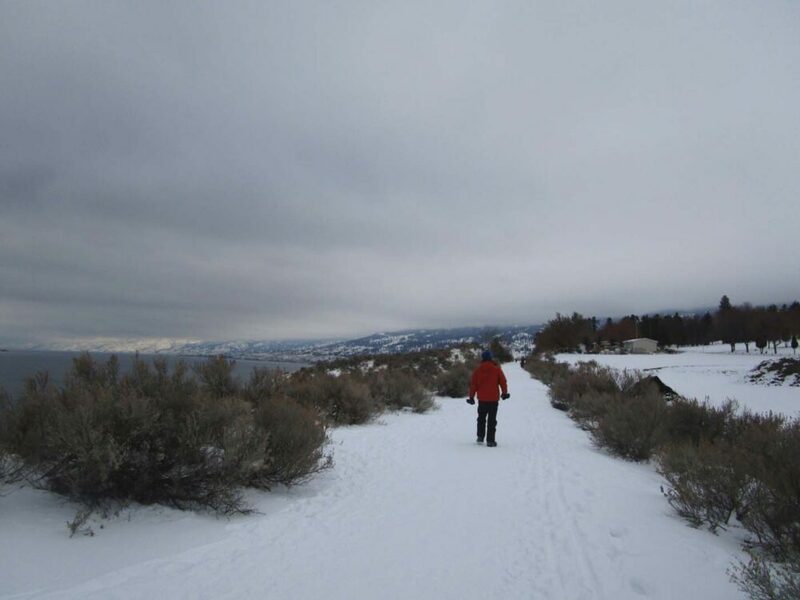 There are no fees to hike or cycle the KVR Trail. 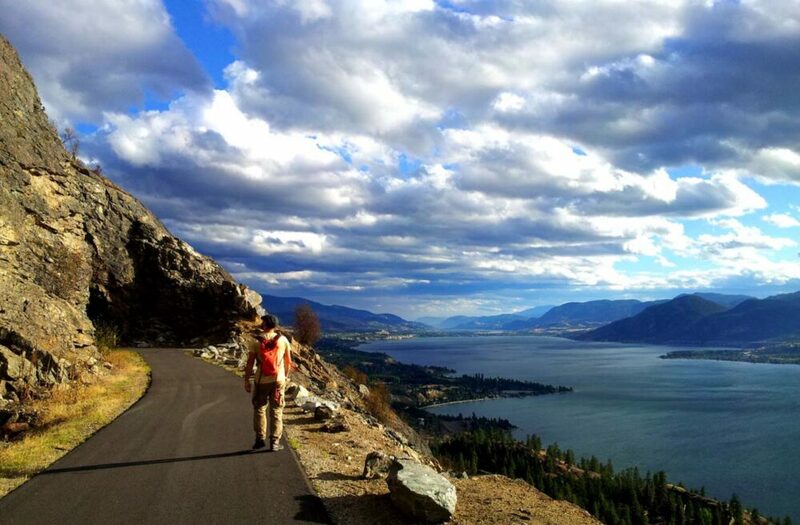 Cycling the KVR trail as a multi-day trip is a popular option. 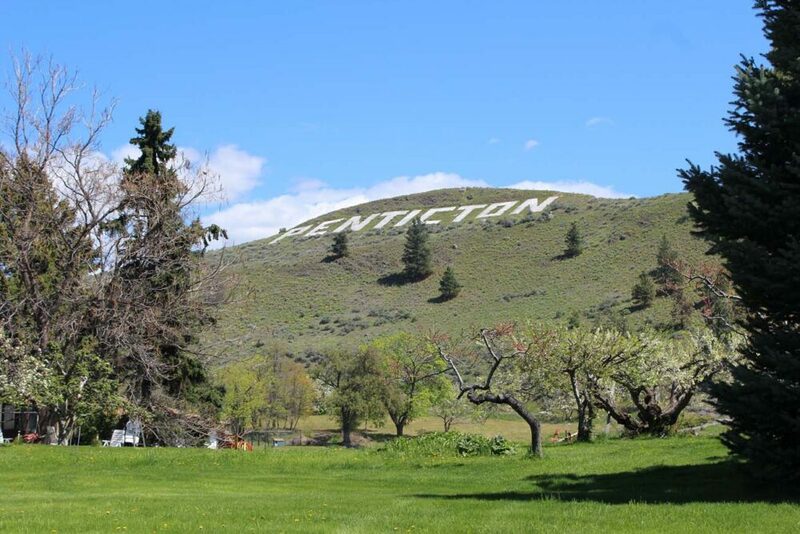 Cyclists often start at Midway and finish at Penticton, a 320km journey taking around a week to ten days. The low gradient path, lack of motorised traffic and accommodation options en route make cycling the KVR Trail a scenic and relaxed adventure. One of the most visited sections for day hiking and cycling on the KVR trail is that of Myra Canyon. 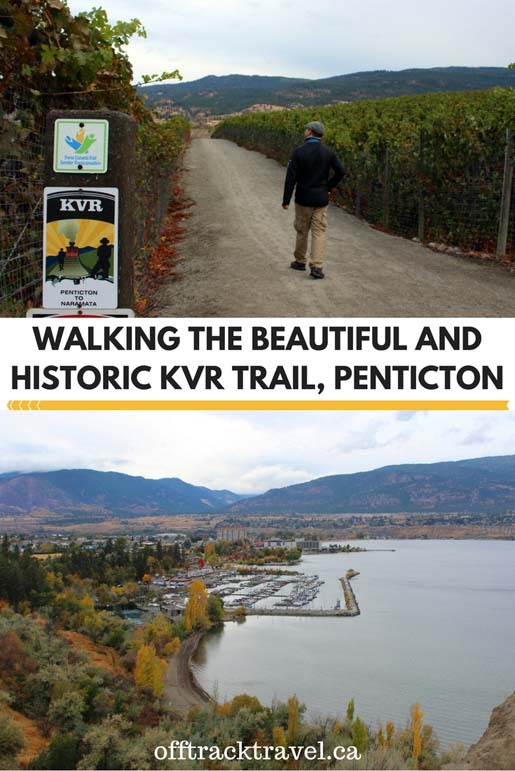 18 impressive historic wooden trestles, two tunnels and stunning views make this part of the KVR trail a great day out, especially for families. Bikes can be rented at Myra Station, one of the canyon trailheads. It is possible to cycle from Myra Canyon to Penticton in one day (74km total) and then get a shuttle back to Kelowna (or a shuttle from Penticton to Kelowna in the morning).